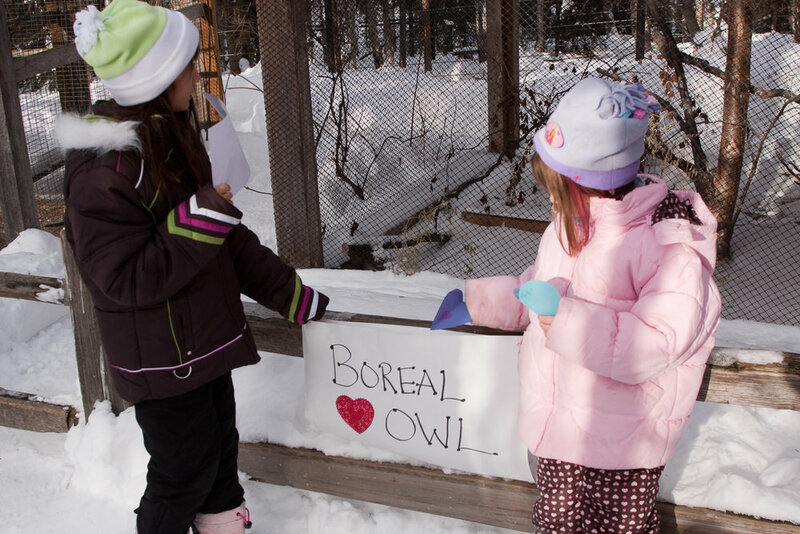 Join us at the Alaska Zoo on Saturday, February 16th for our Valentines for the Animals event and FREE ENTRY FOR KIDS (ages 17 and under) all day, INCLUDING FOR EVENING ZOO LIGHTS! Valentines event activities will happen from Noon to 3pm. All children under 13 years must be accompanied by an adult. One adult required for every five children. Event activities will be happening from Noon to 3pm. Our Discovery Center will be open if you wish to stop in and learn about the zoo’s history through pictures. The Gift Shop and Coffee Shop will be open for business as well. Why not share the love all year long! Become an annual zoo member and receive free entry for one year from the date of purchase. We offer many member perks including an a’ la carte system to design the membership that fits your needs, seasonal discounts in the Gift Shop, discounts on certain special events, discounts on Adventure Camps for ages 6-12, options for guest passes and more. We now offer membership sales and renewals online through our website www.alaskazoo.org. It is convenient to join and memberships make great gifts for the animal lovers in your life. Valentines for the Animals event contact: Heather Doncaster, hdoncaster@alaskazoo.org. We will also be hosting Wonder Woman, Iron Man, Mera, Star Lord and Spider-Man characters for visitors to meet (character photos by Freedom Photography AK).